Remanufactured black toner cartridge to replace ML-1710D3. Yield: 3;000 pages. Compatible with Samsung ML-1500 and ML-1710 printers. You can now find printer toner for your Samsung printers at SFCable. SFCable make it convenient for you to get your printer toner supplies at your doorstep at very affordable prices. 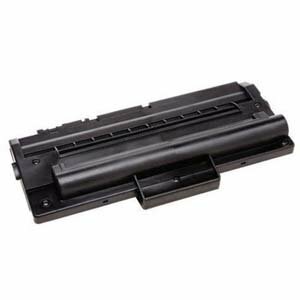 Various products are available including replacement black toner cartridge for Samsung ML-1710D3, which is compatible with Samsung ML-1500 and ML-1710 printers. All our products are available at very competitive prices as we source them directly from ISO 9001-2000 registered manufacturers. The products are RoHS compliant and environment friendly. SFCable prioritizes customer satisfaction. Therefore, you are offered good after sales service and lifetime technical support on all products.